Idk guys, but I think we should have more books written for this trope. Seriously. I had a lot of fun reading this book! So, Oliver and Elle has that once-in-a-lifetime kind of love. Theirs are the stuff that gets songs and books written for. 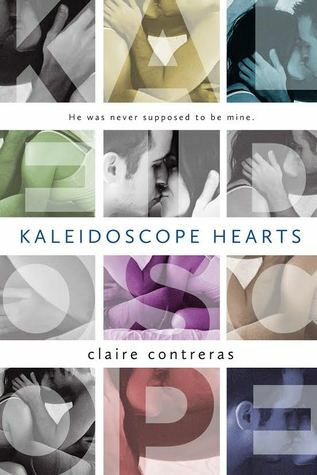 Their love is an altogether different character here in this book, and I think, that is what we’ve been missing out on for most books. Oliver is Elle’s brother’s bestfriend. For years in their adolescence, growing up years, they had this illicit affair that went out when Oliver decided to move, leaving Elle and their love in Santa Barbara. A year later, Oliver learns that Elle has become engaged to an artsy person, Wyatt. The story when Wyatt has met an untimely death, leaving Elle, once again, with a broken heart. To be honest, I did not like Elle as a character. Of course, this includes her job as the narrator. More often, I picture her as a bland character. She doesn’t really have much personality aside from her guilt and loneliness, and those are really not enough to be a character’s… well, character. It feels like she’s trapped by these things into this shell of a 2D character, and I just really can’t picture her out as alive. I almost put down the book because of her. But, while Elle is not a really great character, her love for Oliver and their chemistry really made up for this flaw. Really, this love they have for one another is just another character entirely for this book. I really mean what I said on the second paragraph. It really is a big thing, big enough for the readers to feel it grow and take the shape of an elephant in a small room. You just cannot keep it contained. Some might argue that, well, that is how love stories are supposed to be, right? Well, not all romance books can pull that off. Most romance books invest so much on things that compromises the chemistry of their characters. It takes a really good, well-thought out plot to pull this off. It’s difficult to create a girl and a boy, and it’s even more difficult to convince readers they love each other. Imagine how difficult it is to write a love that will never die, a love that consumes two people – to their advantage or not, an immortal kind of love. Oliver is a great character. He’s just this shiny, really attractive, really alive and colorful character since the start of the novel, and wow. He’s the reason why I could stick it out ’till the end. Actually, everyone else is colorful and interesting. Like, really interesting and alive. I know I’d love a book about Jenson and Mia because, damn. That kind of chemistry and past, you cannot not write a book about it. Another thing that I was kind of disappointed in this book was idk I expected it to be a lot more angsty than it was. It could have been better with a few more obstacles. But it’s a good read, all in all.